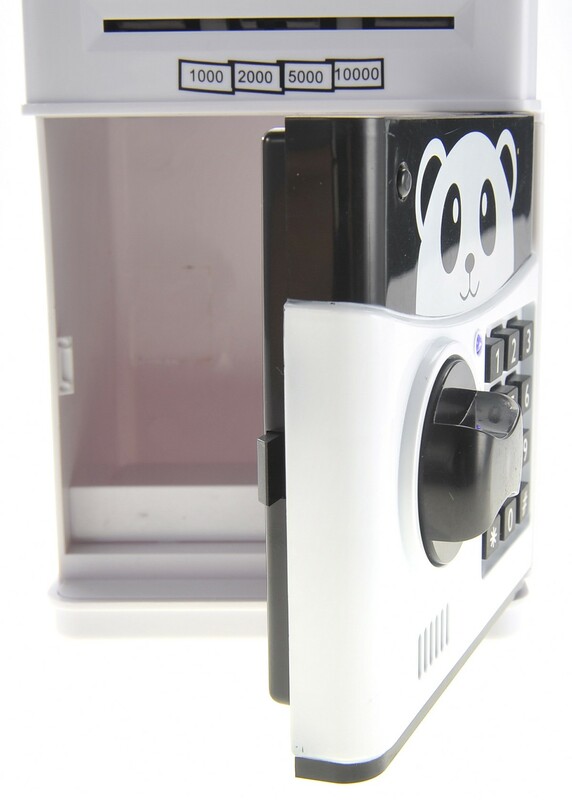 Master Box Dimension : 24" X 17" X 17"
This cute little panda piggy bank will safely store all your money and protect it from thieves from stealing it! 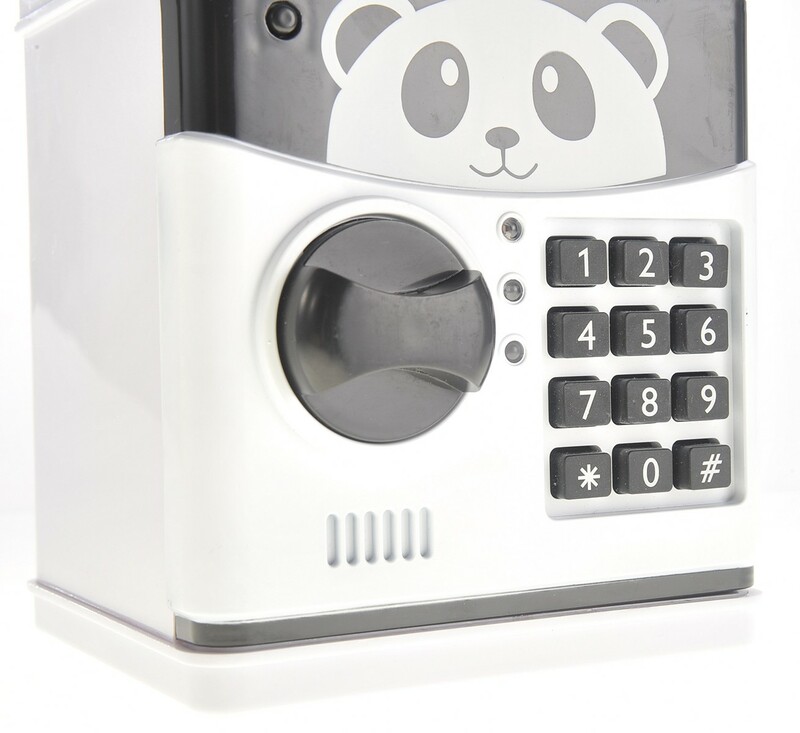 The panda has built-in top-notch security and can be password protected. Default password is 0000, but then you can change it to your own 4 digit password later on. This will keep people from stealing what's yours! 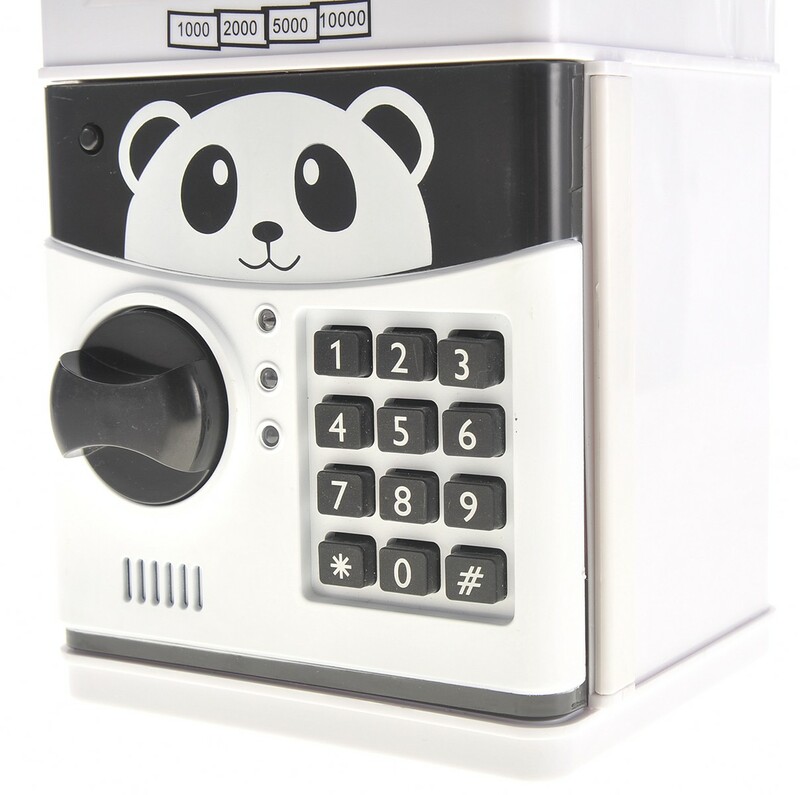 Coin bank will start to beep if the door is opened more than 20 second to remind you that you need to close it. 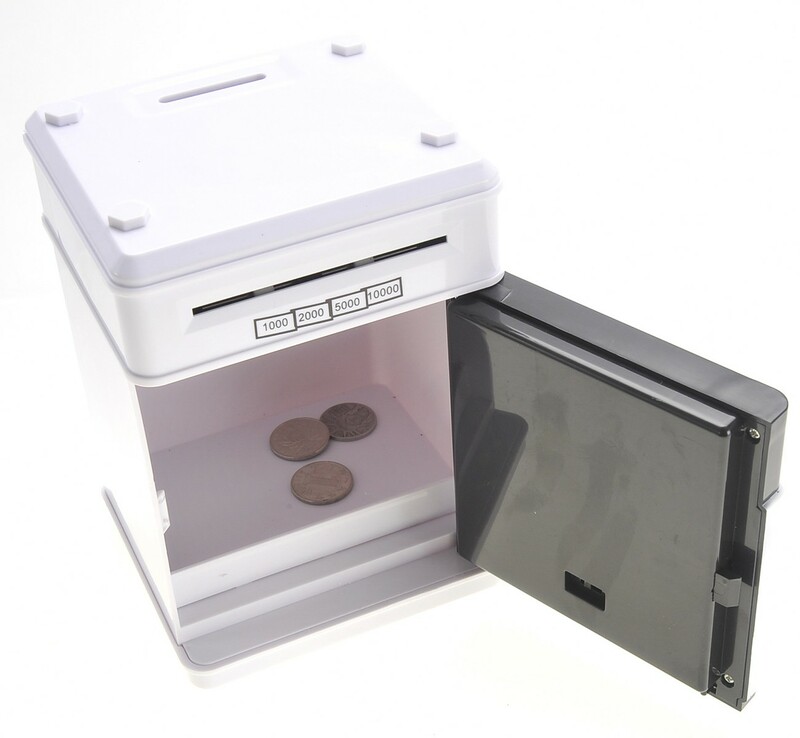 Paper money can be entered through the slots and coins can be dropped in the top of the coin bank. 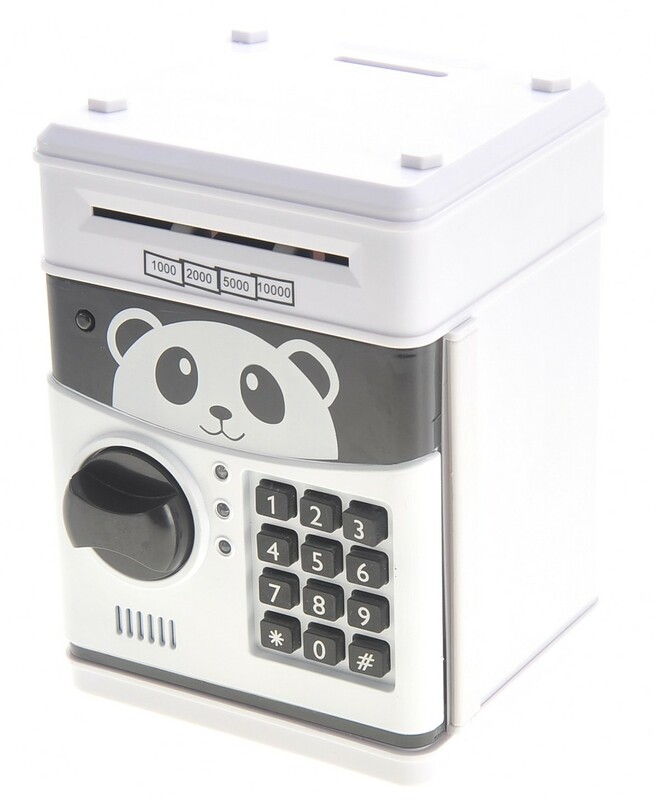 Panda piggy bank will safely store all of your money and protect from thieves using password protection. 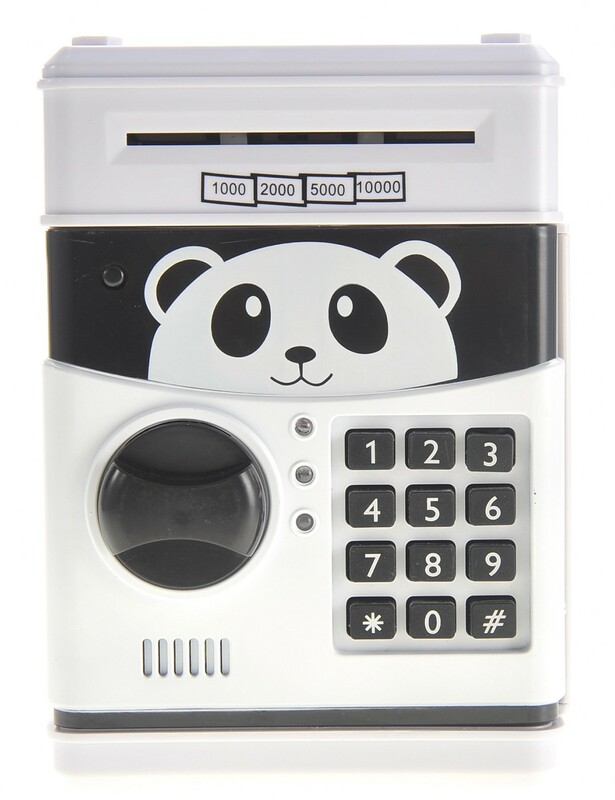 Protect your precious money from thieves and never worry about losing money again!